After four years, Ashanti is back with a new attitude and new album, The Declaration, which she calls her best work to date. "I've definitely grown and learned so much, musically, vocally and lyrically and you can hear that growth with this album," she says. After four years, Ashanti is back with a new attitude and new album, The Declaration, which she calls her best work to date. “I’ve definitely grown and learned so much, musically, vocally and lyrically and you can hear that growth with this album,” she says. Listen to the first single “The Way That I Love You” from Ashanti’s new album The Declaration. On her new album The Declaration, Ashanti shares you have to hurt to grow. 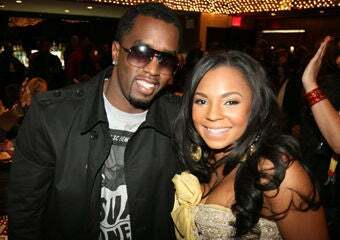 Diddy and Ashanti beam at a LIFEBeat event in New York. Ashanti admits the music business has made her develop a thicker skin. Ashanti rocks the stage at R&B Live in New York with her latest hit, “The Way That I Love You.” which describes a lover scorned. 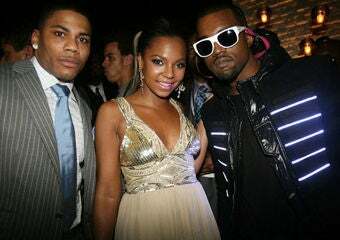 In the early 2000s, Ashanti and rapper Ja Rule filled the summer airwaves with catchy hits like “Always On Time” and “Happy.” After a break from the limelight, they are both preparing for a return. Ashanti wins her first Grammy for Best Contemporary R&B Album in 2003. Ashanti and Smokey Robinson hug after serenading Soul Train’s Don Cornelius at the 2005 TV Land Awards. Ashanti gets into the groove while performing “Do I Do” with the legendary Stevie Wonder during the finale of the 2003 “VH1 Divas Duets” concert. Ashanti’s character contemplates teenage pregnancy with co-star and on-screen beau Rob Brown during a scene in the 2004 film, Coach Carter, which starred Samuel L. Jackson.